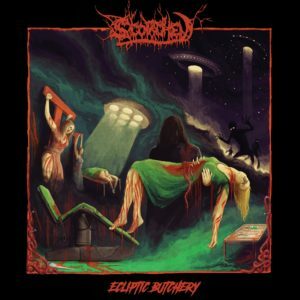 Scorched are back to eviscerate you yet again with their second full length and first on 20 Buck Spin, their new label. 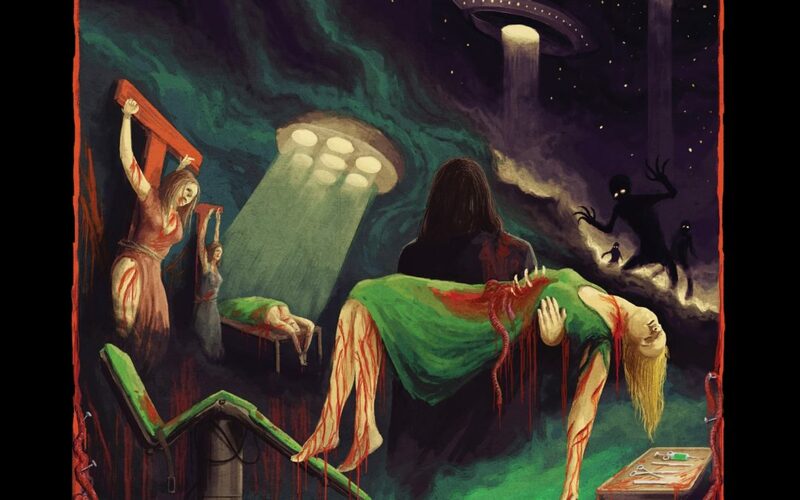 Hailing from Delaware in the United States, the band plays a visceral and disturbing style of true American death metal that checks all the right boxes. Sometimes a truly special band shows up on the scene that stands out above the rest. Scorched are one of two newer bands that I really have my eye on in the world of death metal. So who are they? I’m glad you asked. Up front, Matt Kapa incorporates brutality into what are relatively understandable vocals, a raspy growl without losing all sense of enunciation. On guitar, Steve Fuchs (lead) and Federico Dimarco play some of the nastiest and most unexpected riffs I’ve heard, often going in just the right, yet completely unexpected direction. Fuchs solo work also hits the spot, keeping the gnarliness present in his technicality. That obliterating bass you hear is thanks to the mighty strings of one Andrew Benenati. Finally, the percussive battery that underlies it all is the precision work of Matt Izzi on drums. Seeing these guys live a year ago was a completely engrossing experience. Hearing this new album confirms what I theorized then, that Scorched is capable of becoming the new face of American death metal. This entire album is exceptional, but let me tell you the chaos of Barbarous Experimentation, my favorite track. The riffs found on this monster, especially at the beginning are so sick as to be nearly unbelievable. But these guys are not just throwing riffs at the dart board. The song, and indeed the album is so incredibly well crafted. There’s a reason Scorched has so much buzz right now – they can really write and they can really play. Every bit of praise this quintet is getting is fully deserved. Recommendation – A new generation is born and Scorched are the leaders.